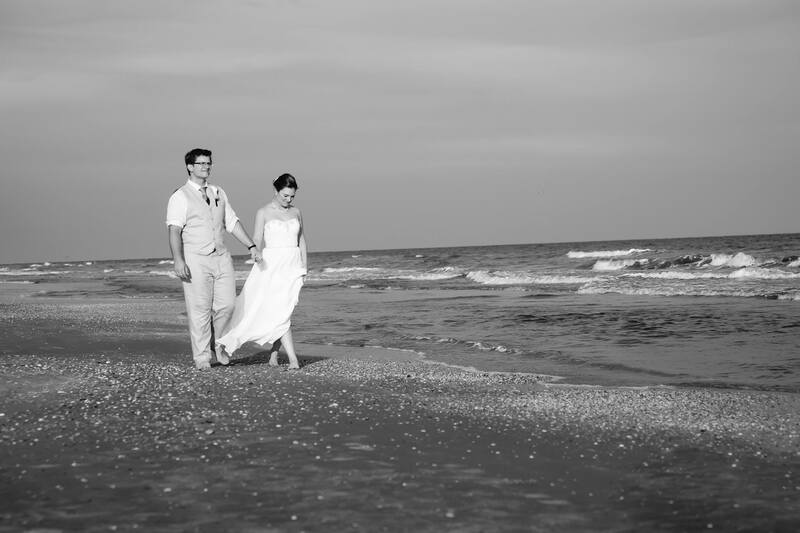 Lauren and Mark were married in the dunes of Crystal Beach and shared their day with a group of people we can only describe as the largest extended group of family and friends we’ve ever been around. Everyone at this party seemed to know and love each other and before the evening was over we felt like we too had been adopted into the fold. The reception took place on the lawn of two amazingly gigantic beach homes connected by a bridge effectively making this property a private hotel. The entire group of guests were staying in this makeshift Hilton so the party continued full swing into the night. Just as the sun went down the sprinkler system kicked on – sprinkler heads popped up all over the dance floor – and instead of running away the group embraced the experience and danced soaking wet. Eventually the party ended up at the beach in the surf under a full moon. Congrats to these two – much love.